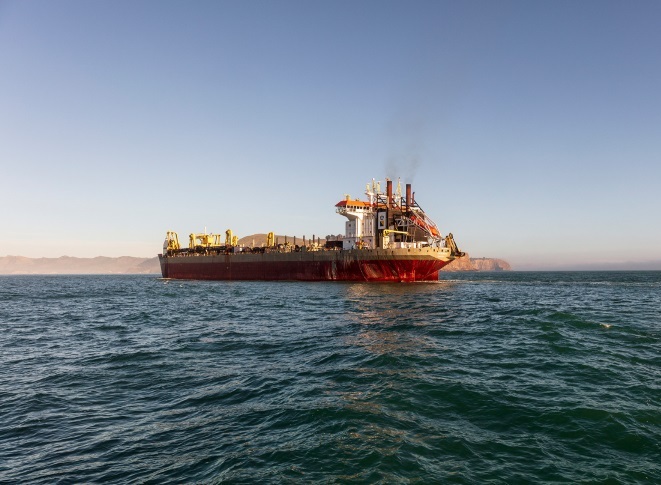 For the past 12 weeks, locals and visitors to Lyttelton Port have seen one of the world's largest dredges, the Fairway, travelling up and down the channel carrying out Lyttelton Port Company's (LPC) Channel Deepening Project. On the weekend she left Lyttelton bound for Singapore, as her role in the dredging project is complete. For the past 12 weeks, locals and visitors to Lyttelton Port have seen one of the world’s largest dredges, the Fairway, travelling up and down the channel carrying out Lyttelton Port Company’s (LPC) Channel Deepening Project. The Fairway has lengthened the channel by approximately 2.5km, widened it by 20 metres and deepened it by up to two metres. The project has already paid dividends with the Rio de Janeiro, the largest container ship to ever call at Lyttelton Port, arriving last month. LPC Chief Executive, Peter Davie says, “We know Canterbury freight volumes are forecast to double in the next 15 years, and container ships have doubled in size in the last ten years We are thrilled the Channel Deepening Project is nearly complete and we are now able to accommodate larger vessels. “The Channel Deepening Project secures the future for importers and exporters in the Canterbury region, as it means the Port remains competitive for international shipping lines. The region’s exporters and importers will continue to have direct access to global markets and goods, competitive freight networks and cost-effective access. Peter Davie says a lot of hard work has gone into making the dredging project successful and paid tribute to the Fairway’s crew members and two captains – Captain Ton van Oosten and Captain Marco de Bruin. The Fairway – owned by global operator Royal Boskalis – has 33 crew working six-week rotations to keep dredging the channel 24/7. She has dredged more than five million cubic metres of mud and silt off the sea floor. 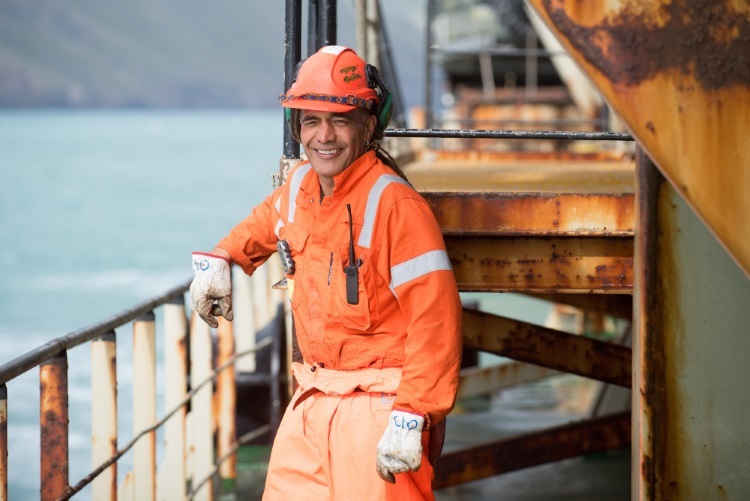 One of the Fairway’s pipe and crane operators was Lyttelton local, Ihaia Hascha, who couldn’t be happier to have had the opportunity to work so close to home, after spending large parts of his life at sea. “My dad was a seaman and so were his brothers. My mum also had two brothers who went to sea as well, so I guess being out at sea is in my veins,” he says. Ihaia says being part of the dredging project in his home port is a career highlight, as well as having the opportunity to work on one of the largest dredges in the world. With the Channel Deepening Project nearing completion, LPC will implement the most significant upgrade to navigation aids at the Port in 35 years. Navigation aids are a visual guide to help vessels get in and out of the Harbour safely. The upgrade will ensure the Harbour’s navigation aids are up to a modern and international standard. “The upgrade includes nine new navigation aids installed along the sides of the channel, while eight current existing marine and six land-based navigation aids will be upgraded in the Harbour. Two sector lights will also be relocated from land at Governors Bay and Purau Bay to marine locations,” says Peter Davie.